On a daily basis I will go with either no eye shadow or a one shade does it all kind of shadow. Sometimes we just don't have the time to blend, blend, blend until our hand falls off. So I decided to pick my favorite shadows that do the trick with just a few swipes and minimal blending. MAC Arena is my absolute favorite eye shadow. I have gone through quite a few of these and I do not see myself ever not owning it. It is a slightly yellow orange very light brown shade. When you sweep it on once it just makes your eyelids look slightly tinted but mostly covers up the redness. You can build it up to a slightly darker tone all over or just in the crease for more definition. Think Adelle and that classic monochromatic eye look she became famous for with a slightly darker crease. I have done that look countless times with this shade alone. e.l.f. Smudge Pot in Back to Basics is the color I reach next when I want something natural but with a bit more tint to it. Think Maybelline Color Tattoo in Bad to the Bronze marries Bold Gold and this is their love child. Slightly brown but with a good amount of gold glimmer running through it. I honestly haven't reached for any Color Tattoo's since this came into my life. Plus the price, you can't beat it. 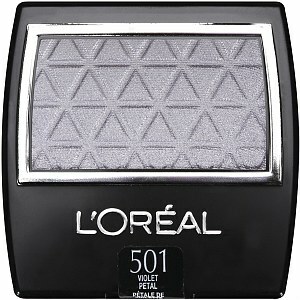 L'oreal Violet Petal is a shade that is not normally something I would reach for (read any shade of brown). But I was instantly drawn to it because I just couldn't tell if it was lilac or gray. 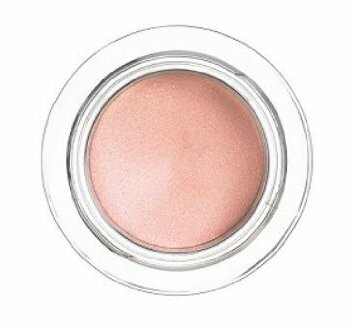 It is a mix of both and can be used as one sweep for a light color to the eyes or build slightly more for a more metallic look. I like it more minimal than full blown and then I go in with this purple liquid eyeliner. 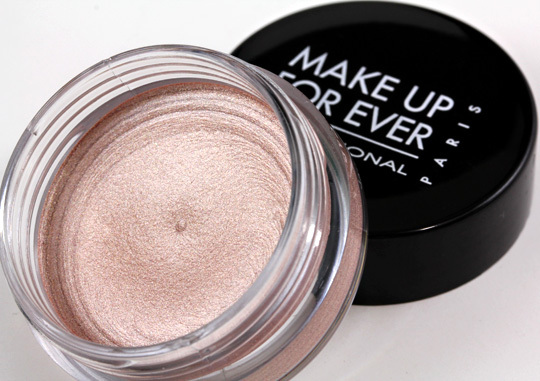 Make Up For Ever Aqua Cream in 13 is a light pink metallic shade. I don't wear Barbie pink tones but this is a far cry from it. It just delivers a nice metallic sheen on the eyes that makes your eyes look vibrant and awake. You can also wear it as a base and built it with cooler tones. 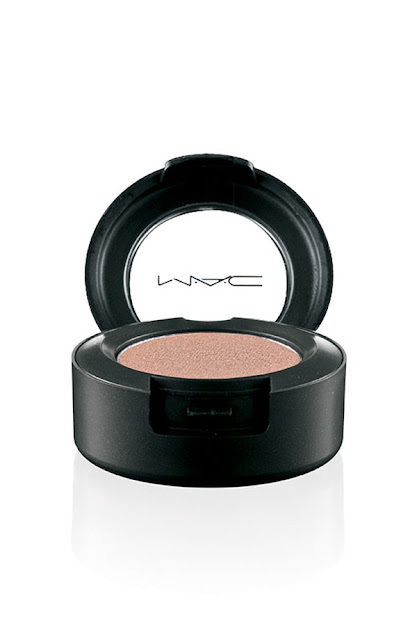 MAC Nylon is the only shade I go for a true vibrant highlight to any eye shadow. 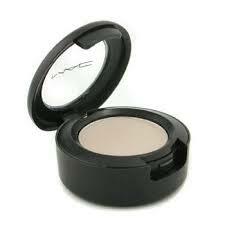 It is intense and opaque and will open up the eye area simply by dabbing a bit to the inner corner of the eye. Which is the shade that you reach for time and time again?